When Dr. Biondi first told me of the Ideal Protein program, I was skeptical. I had been a lifetime dieter, trying every diet without much success. I figured I had nothing to lose, but weight, so why not try it. I promised myself that I would commit to the program through Christmas which was four months away. After the first month I had lost 12 pounds. I was so excited to continue. By Christmas I had lost about 45 pounds. The weight loss was steady at about 3 pounds a week. The pounds and the inches seemed to be melting off. Each week the scale and my coach reinforced my commitment to continue. At the end of March, 7 months on the program, I had lost over 70 pounds. As I started phase 2 of the program through maintenance I have lost a total of 77 pounds. I now know which foods work for me and have made a commitment to continue eating healthy to maintain my current weight. I had lost over 70 pounds! 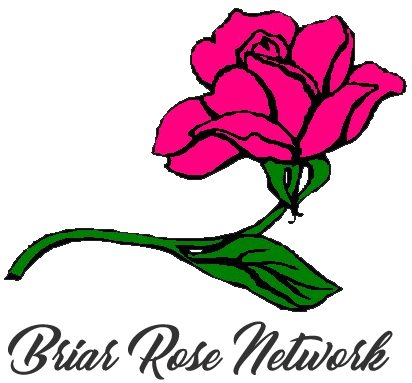 Briar Rose Network is Authorized to use the Ideal Protein Weight Loss Protocol and Products. Please note: With relation to FTC guidelines regarding endorsements and testimonials – The testimonials on this website are those of the individual that is identified. Typical results vary up to 6 and 8 pounds lost during the first two weeks and up to 2 pounds per week thereafter when the Ideal Protein Weight Loss Protocol is followed properly. You should consult your physician or other health care professional before starting this or any other diet program to determine if it is right for your needs. I started Ideal Protein in March of 2011. I lost 120 pounds in the first year and I am still losing the weight (34 more pounds to go!). When I started this diet I was at a very low point in my life, weighing in at over 300lbs. I had spinal fusion that made exercise difficult and even walking was hard. I tried every diet out there, so when my doctor recommended I try Ideal Protein, I was very skeptical. I really thought that surgical weight loss was my only option but I decided to give this diet a try. I honestly did not think it was going to work but I told myself that I was going to give it my all. My family agreed to help me also by keeping my ‘trigger’ foods out of the house (pizza was banned!). I started losing weight quickly but in the back of my mind I thought it would only last a few months before I plateau like all my other diets. But to my surprise, that never happened! I kept losing the weight and started gaining a whole new life. I have so much more energy and feel great! I did not ‘exercise’ with this diet but I was naturally doing more activities. I went to the beach, the parks, movies, concerts, casinos and a bunch of day trips with the girls.. things I stopped doing years ago. I have reached so many milestones I thought I never could reach and I only wish I knew about this diet years ago. I thank my coach for encouraging me each week and keeping me motivated. And I thank Dr. Biondi for offering this life altering program for it is more than just a diet. It is about feeling great physically and mentally as well as really enjoying life. I really like the person I see in the mirror now! I lost 120 pounds in the first year! Briar Rose Network is Authorized to Use the Ideal Protein Weight Loss Protocol and Products. The testimonials on this website are those of the individual that is identified, you should not necessarily expect to receive these results. Typical results vary from person to person and individual to individual when the Ideal Protein Weight Loss Protocol is followed properly. You should consult your physician or other health care professional before starting this or any other diet program to determine if it is right for your needs.